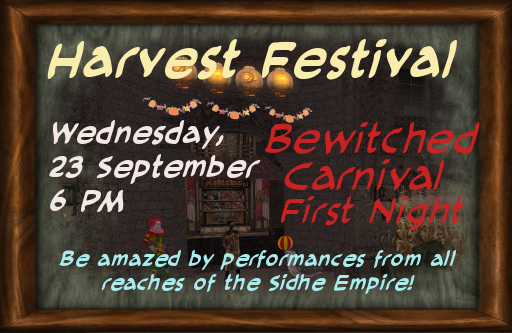 21 September 2015 at 6:00 PM, SL-Time. 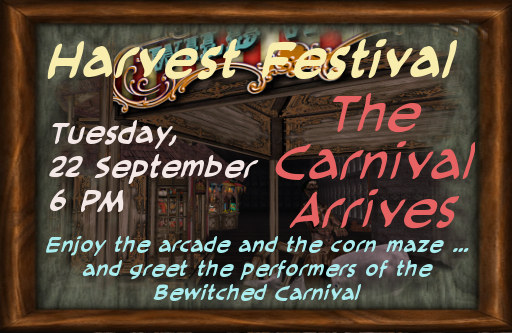 The NeoLondoners, and any out-of-town visitors, gather in the town’s marketplace to enjoy harvest festival activities. 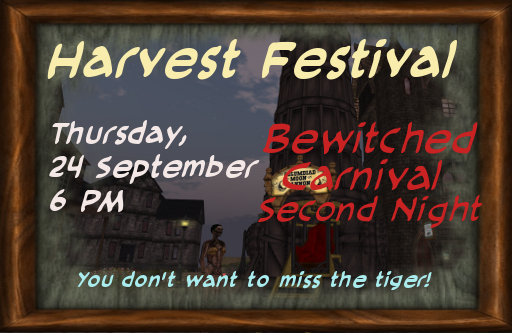 The evening concludes with the arrival of the Bewitched Carnival (a troupe of zombies led by a mysterious ringmaster). 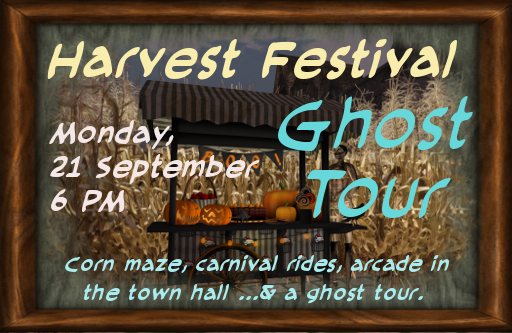 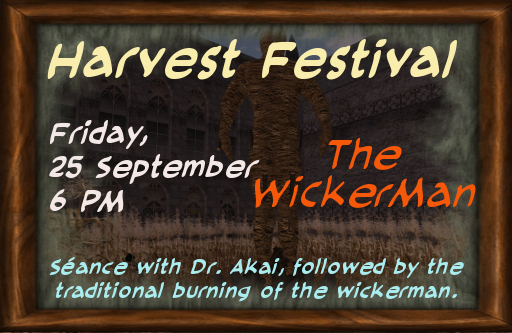 The NeoLondoners, and any out-of-town visitors, gather in the town’s marketplace and town hall to enjoy harvest festival activities (including a moon ride and a corn maze. 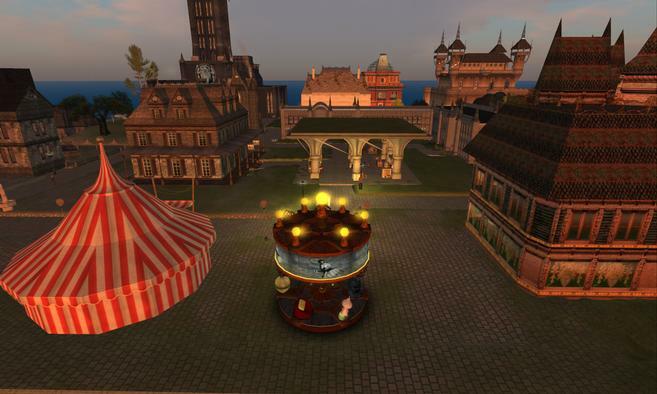 The evening ends with a tour of the haunted location in NeoLondon, led by one of our citizens.